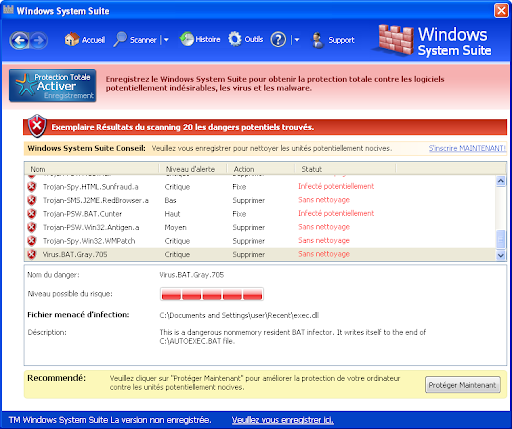 MalwareCatcher, VirusShield, Extra Antivirus, Virus Sweeper, Ultra Antivir 2009, Virusdoctor, VirusMelt, VirusAlarm. Windows System Suite comes from fake online scanners and detects nonexistent malwares to scare users pushing them to buy a license. Smart Protector is a new rogue. The scanner database is 0Kb. Even after a full update, database remains empty. 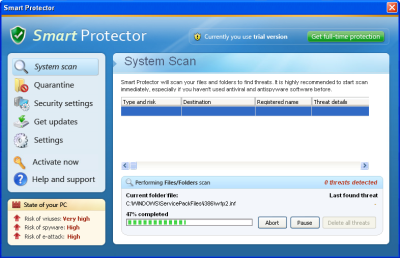 Windows Antivirus Pro is a Fake Security Software (Rogue). It displays fake alerts and modify desktop background. It also prevent execution of binaries to scare users. Safety Center and Privacy Center are the new version of Secret Service. While running a scan, the tool creates files to detect fake infections and scare users. For a few weeks now, a new command has been added in Koobface's C&C. The malware is known as Trojan-PSW.Win32.LdPinch, a password stealer. Malware creators have to bypass antivirus protections to infect users. To be undetectable, the executable binary must not have a recognizable pattern. Packing the file is one of the method used. It was a good trick to hide the code and reduce the size of the binary. But antivirus softwares can detect home made packers, entropy, and most of them can unpack known packers routines to scan the original file. The executable contains a cyphered UPX binary that contains the malware itself. The first stub uncypher the binary (green arrow). Let's have a look at the code: in red, the uncypher routine doing the job. 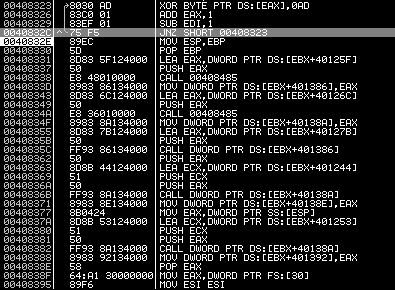 Then the UPX stub unpack the Malware code (blue arrow) and run it. A well known malware file can be undetectable (until an antivirus detects the first shell). - Modification of the file every time it is downloaded. A few bytes are changed (one is enough) to generate a new hash. Then, every day, a file that contain a well known infection, is released. The file looks new (different size, no recognizable patterns) and malware analysts have to work on it to detect what seems to be new but is NOT. Virus Total returns a poor detection (or 0 detection sometimes). Home Antivirus 2010 is a fake security software (rogue) from the family of PC Security 2009, Home Antivirus 2009. It displays alerts messages and creates files on the system to simulate an infection (fake PE or VB Script filled with junk). 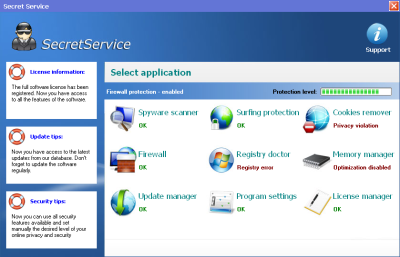 Home Antivirus 2010 also replaces the original Windows Security Center by its own, and force the Control Panel to be displayed with the classic view. is Paretologic a rogue creator ? Paretologic creates many cleaners (Malware, Registry, Privacy...). XoftSpySE and RegCure are the most known. Recently, MalwareURL flag them as rogue. It's not a surprise, ParetoLogic is considered as rogue by a lot of security analysts. Why ? ParetoLogix products are not automatically installed by trojan or fake codec. There is no DesktopHijack, constant alert messages, or such well known rogue symptoms. Where is the problem then ? Another problem is the license. When the free scanner detects an infection. It proposes acquiring (buying) a license from the infected system. This is a very bad idea: the malware may stole identity and credit card informations. The limit between rogue, PUP and non-ethic is poor. I won't consider it as rogue because of the missing rogue symptoms, but ParetoLogic is certainly not ethical. Edit: Forum thread about this post. Contacted hosts are also old. But changing much slower. It was first PE binaries hidden under a picture filename. Then it change to a real pic with extra data (the crypted PE added after the picture data). It is not a DNS.Changer infection (can't remember the blog where I read this). It's a Trojan Downloader. See the previous post about it here. SystemTuner is a fake tool made to speed up PC's performance. TRITAX has released a new version of Secret Service (previous post). The rogue is still using a part of the Privacy Center sample (Russian female voice). Like the previous version, the rogue drops many fake executables files to simulate an infection. Once registered, all the tool options are available. Like the antimalware engine, these options are fake. The software never contacts any host, network activity stays null while database update progress bars are filled. 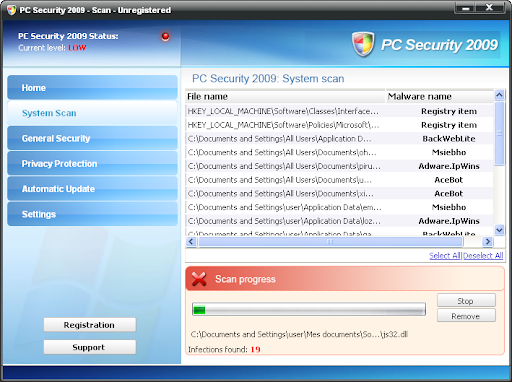 PC Security 2009 is a fake security software (rogue) from the family of Home Antivirus 2009. It displays alerts messages and creates files on the system to simulate an infection (fake PE or VB Script filled with junk). PC Security 2009 replaces the original Windows Security Center by its own, and force the Control Panel to be displayed with the classic view. Trojan-Downloader.Win32.FraudLoad (exe-site.com/streamviewer.#.exe) is an "old" infection but I read many times as it is new. It looks new because of the bad AV detections, and because of some tips used by creators. Filenames are composed like necessary software to watch streaming videos: streamviewer.#.exe, flashplayer.v10.#.exe, TubeViewer.ver.6.#.exe (where # is a number of 4/5 caracters). - File used to be an UPX packed infection and was easy to detect. For some weeks, it is using a stub to bypass Antivirus detection. 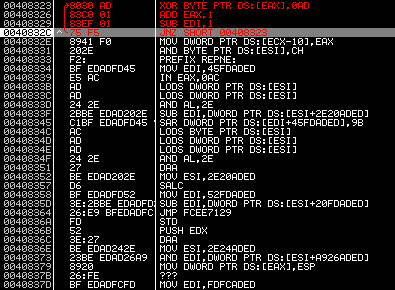 File is still UPX packed but creators add the stub to cypher it (stub -> UPX -> infection code). The stub code is also quickly modified. This is why a lot of AV are late to detect it. 4 bytes for the affiliate ID. - Downloaded files used to be executables hidden behind a picture filename. They are now real GIF pictures but the size is too heavy for simple pictures. The infection is cyphered behind the picture data (remember tibs infection ? Where tibs was using a simple XOR encryption routine, this trojan-downloader uses a more sophisticated rout.). 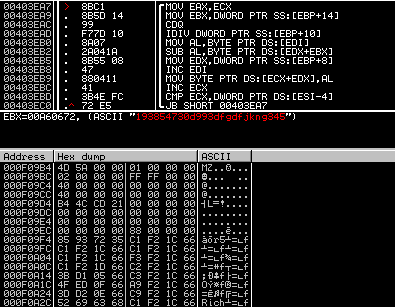 Extracted executables are using the same Trojan-Downloader stub method to cypher their code. WiniFighter is a clone of WiniBlueSoft rogue. Security Central Rogue is a clone of Barracuda Antivirus, Antivirus System Pro, Spyware Protect 2009. It displays fake infections and fake alerts to scare users pushing them into buying a license. 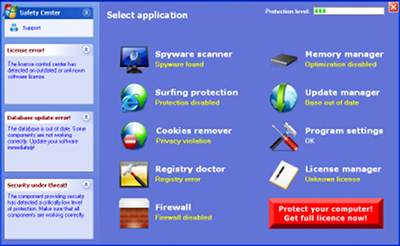 MalwareCatcher, VirusShield, Extra Antivirus, Virus Sweeper, Ultra Antivir 2009, Virusdoctor, VirusMelt, VirusAlarm. Windows Security Suite comes from fake online scanners and detects nonexistent malwares to scare users pushing them to buy a license. BleepingComputer Windows Security Suite removal guide. 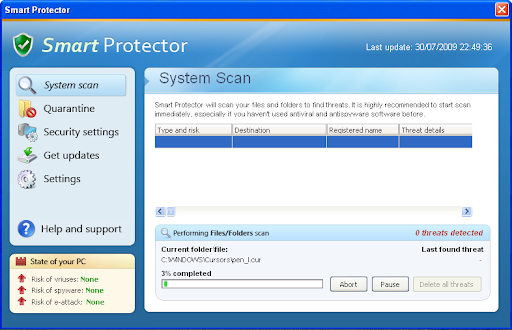 Barracuda Antivirus Rogue is a clone of Antivirus System Pro, Spyware Protect 2009. It displays fake infections to incite users into buying a license. System Security 2009, a known rogue, is hijacking Desktop Background. It also displays fake message about trojan infections to scare users.